I'm thrilled to announce the release of the first-ever New York City Healthcare Venture Capital Report 2018 from NYC Health Business Leaders, the organization I co-founded with Dr. Yin Ho in 2009. The goal of this report is to provide entrepreneurs, investors, executives, policy makers – and all industry stakeholders - with an objective, data-driven look at the importance of the New York market to the healthcare industry. Two words and the room erupts, as only a crowd full of MBA’s can. They know exactly who I’m talking about. The father of modern business strategy. The man Fortune named "the most famous and influential business professor who has ever lived." Who else? Harvard Business School Bishop William Lawrence University Professor Michael Porter. 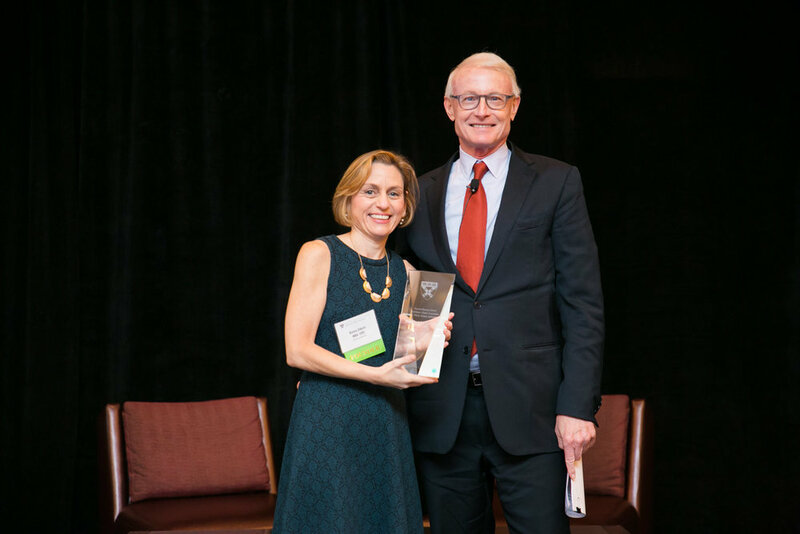 It was humbling to present Professor Porter with the Ellerin Alumni Achievement Award at the 18th Annual HBS Healthcare Annual Conference on November 10, 2017. The award was created to commemorate my role in forming and leading the organization and is given to an outstanding leader annually. Professor Porter has applied his intellect to myriad issues and industries throughout his career. We are lucky that he took an interest in healthcare and wrote Redefining Health Care: Creating Value-Based Competition on Results with Elisabeth Teisberg in 2006. Recognizing the need for more, he launched the Institute for Value-Based Healthcare Delivery to provide a framework for restructuring health care systems around the globe with the overarching goal of value for patients—not access, cost containment, convenience, or customer service. Listening to Professor Porter discuss his work and all his team is doing to create more effective business models in healthcare was inspiring. Gave me renewed hope!